(NaturalNews) After being put on a six-month suspension from NBC News for literally making up news stories that never happened, shamed media anchor Brian Williams is now jumping ship to a different network that, conveniently for him, was built from the ground up on the concept of reporting fabricated stories: MSNBC. Williams was recently given a key reporting position at the most "opinionated" cable news network in existence, according to a recent Pew Study, as part of a massive MSNBC rebranding initiative that aims to gain back viewers who fled for greener, more honest, pastures. But why MSNBC chose Williams as its poster boy is somewhat curious, as this former Nightly News anchor seems to embody the type of journalistic fraud that MSNBC is supposedly trying to expunge from its record. It's difficult to say, at this point, whether MSNBC is serious about actually trying to upgrade its reputation by bringing on Williams, or if the network is just "trolling" the American public by hiring one of the most tarnished names in mainstream media to steer the ship. Regardless, MSNBC appears to be going the way of The Onion by essentially rebranding itself as some kind of parody news outlet. MSNBC lost an incredible number of viewers ever since it was revealed that, among all the major cable news networks, MSNBC focuses the least on reporting actual facts. One report on the Pew Study called MSNBC's approach to reporting news nothing but a "bunch of ranting" – not exactly the most flattering description for this flailing network. And yet, with all this in mind, it actually kind of makes sense that MSNBC would choose Brian Williams as the face of its network overhaul. The types of viewers that still watch MSNBC will probably welcome Williams with open arms, as he fits the image for a "breaking news" network that perpetuates conjecture and imaginary world events. According to the New York Post's Page Six, MSNBC's adoption of Williams hasn't been the smoothest transition, though. The news anchor has reportedly become a type of news tabloid dictator who's decided to bring on his old executive producer, Pat Burkey from NBC News to be MSNBC's executive producer in charge of afternoon news coverage. Izzy Povoch, another friend of Williams and MSNBC's current vice president of talent and development, also formerly worked at NBC News alongside Williams and Burkey. In other words, MSNBC is quickly becoming NBC News 2.0 under the new direction of Brian Williams. One of Williams' inaugural segments at MSNBC was his reporting on the alleged shooting event at Umpqua Community College in southern Oregon. 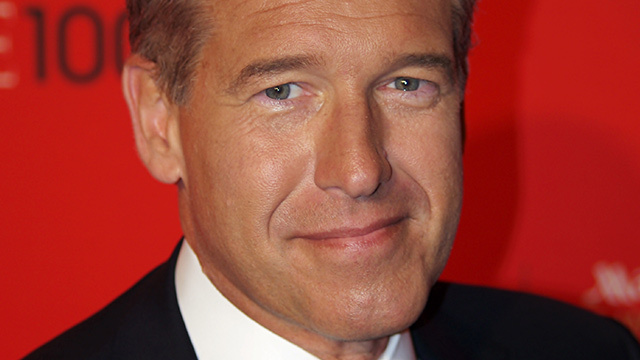 Williams was one of the first news anchors to pursue the story on a national scale – a story that many have since questioned as anomalous and potentially indicative of a false-flag conspiracy. Whether or not these allegations are true, Williams seems to be the type of man the mainstream media wants to deliver this sort of sensationalized, agenda-driven "breaking news" as it happens. And with his track record of dishonesty, Williams is sure to be a hit amongst the propagandists. "The reason why Brian Williams is still on TV is because MSM Corporate is in on the deceiving and lies," wrote one Reddit commenter. "In what world do you have a guy that lies point blank about his stories and is slapped on the hand and put back on air? Apparently this world... It's over folks[;] no reason to watch any news at all." Does Brian Williams have dirt on all the other liars and frauds in mainstream media?